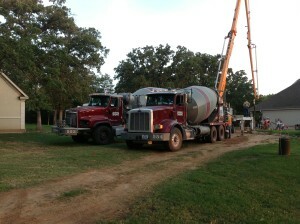 We have supplied concrete to the residential community in Grayson and Fannin Counties for over 50 years. The list of project and builders that use us is a long one. For recent references, please contact us and we can put you in touch with someone that can help you or talk to you about how have taken care of them.